New Scoop Back Tank, made of luon with a built in bra. Shown in Black Cherry and Black. This has a very classic lulu look to me. Love Tee in Ghost Weave Black White print. I kind of like this. Heat Wave Black White luxtreme Jet Crop. 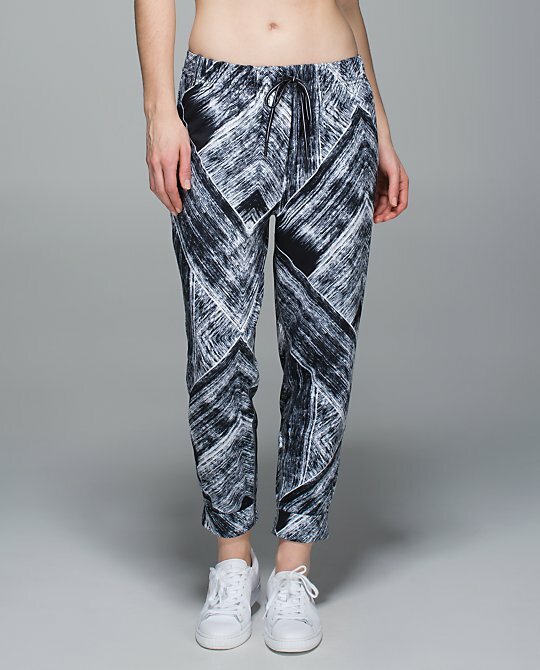 Star Crush print Tech Mesh High Times pant. 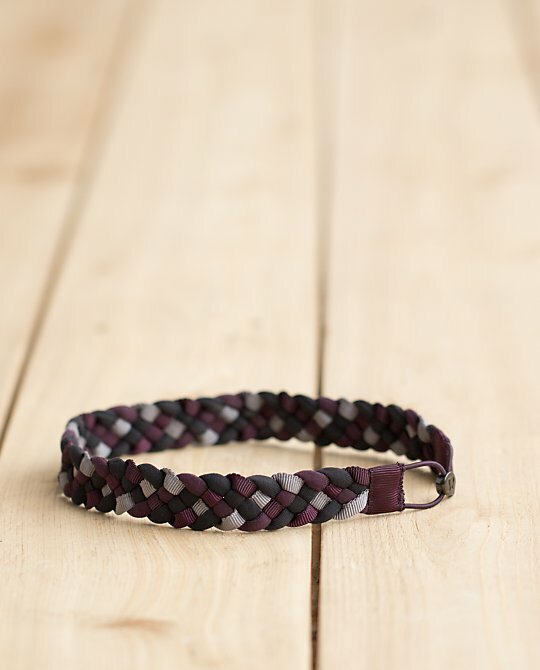 The Charming Braid Headband is back in new colors - Black Plum and Butter Pink/Regal Plum. I have a Charming and like it a lot. omg.. i need those breezie regal plum WUCs in my life!!! when will the U.S. get them?! soooooo jealous of the high times pant in starry night mesh!!!! like the new headbands too although not sure how well they would stay on. Is the new fall line or spring?? Pretty dull colors for a spring line. I am hoping to see all the colors that are showing up in that Iridescent print - bright blue, purples, and that electric coral. Hawk blue WU crop and Devi top. Waiting for nimbus jacket.... Any idea when that will be out? I have a head band I bought from lulu a while back that looks exactly like that, and the thing works well for casual but any serious exercise and it falls off. 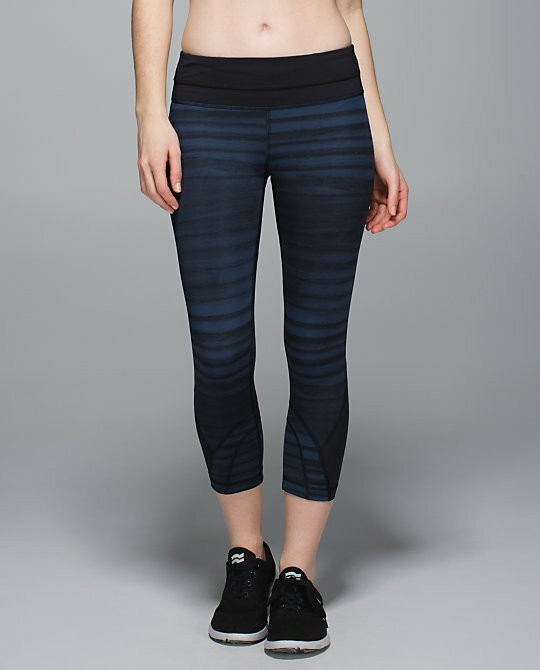 @M - I use mine for casual wear, not to work out. I've been using mostly Swiftly headbands for my workouts, lately. I saw the breezie regal plum pattern in my store today! (Chicago suburbs) I think they were the wuc 's!